Book (season) 2 of Avatar: The Last Airbender is such an impressive tour de force of epic storytelling that reminds me of such classics as the Lord of the Rings and even Star Wars. While the first season of Avatar showed promise, season two fulfilled on said promise with an epic sweeping story and a shocking amount of character depth. Now the childish moments that remind the audience that the series was originally intended for a younger audience are lessened and instead are replaced by a surprisingly mature story with strong character development and themes. Honestly, I am surprised as anyone that Book 2 of Avatar turned out so well. Plot: 9.1/10- Book 2: Earth, picks up roughly where the last season of Avatar left off with Aang and the gang now looking for an Earthbending master to teach Aang. As to not spoil the plot for those that have yet to watch it, I will stop there. As for the quality of the plot, the series started off rather well with two strong episodes, although the next few seemed a tad weak in comparison. However, after episode six, "The Blind Bandit," the series takes a sharp incline in quality with episode after episode of engaging and entertaining stories. As with season one, most episodes are serialized with each having their own mini-story that leads into the big one at the end. What surprised me the most is how mature the themes of the series can be ranging from political corruption to a brainwashed utopian society to loss of a loved one. *Possible Spoiler* Book 2's end actually reminded me of The Empire Strikes Back in terms of tone, with it being executed with near perfection! *End Spoiler* Of course the series still contains some more "kid friendly" moments here and there, but once you are invested in the characters, those moments are not as noticeable. Of course, there are a few weaker episodes, but nothing to dissuade potential viewers. Characterization: 9.3/10- Another strong aspect of Book 2 is the attention to character development and character relationships. By the end of season one, I was attached to the characters, whereas by the end of season two, these characters are now some of my all-time favorites. The main three protagonists from the first season, Aang, Katara, and Sokka, all develop in their different ways. To me, Sokka's character arc is the most intriguing as he deals with what happened at the end of season one, whereas Aang, who is more likable this season, is probably the weakest overall. Katara is still very cool, and one of the better characters in the series. Zuko, who was an antagonist in the first season, is given a more anti-hero role. The character is taken in a unique direction, making him one of the most complex and compelling characters in the series. Zuko's uncle Iroh continues to be a lovable character that offers a lot of comic relief and wisdom. One scene in particular with Iroh is surprisingly emotional, which is rare for me to say. In addition to the returning cast, season two features several unforgettable new characters like Toph and Azula. Toph is an incredibly skilled, and almost overpowered, Earthbender, who also happens to be blind. In many ways, Toph reminds me of a tsundere type character; however, she is also a complete bad*ss, with many great moments throughout the series. Azula is the new antagonist of the series, and she is certainly an impressive one at that. Being that she is Zuko's sister, the dynamic between Azula, Zuko, and “Team Avatar,” is interesting. Along with Azula are two other fun antagonists, Ty Lee and Mai. Ty Lee is fun and energetic, but also incredibly skilled at rendering most benders helpless. On the other hand, Mai is almost emo with a negative attitude, who is also a skilled fighter. A few other minor characters from the first season make more than welcome appearances. Action: 8.9/10- Season two raises the action sequences to new heights with even more impressive uses of element bending. All of the choreography is skillfully executed to create action scenes that are genuinely engaging and exciting to watch. The use of Matrix like slow motion in season is a surprisingly effective addition as well. Acting: 8.4/10- The cast from the first season all give much improved performances compared to their work on the first season. The acting for the minor one-shot characters seems to have improved tremendously as well, with there only being a few weak performances among the cast. Art Style: 8.3/10- Even though the lack of an HD remastering still hinders the animation from holding up as well as it could, season two most definitely shows a great improvement over the previous season. The animation is crisper with sharper edges and improved fluidity. Soundtrack: 8.7/10- Many tracks from first season are present with several more epic and well placed tracks throughout from composer Jeremy Zuckerman. Humor: 8.7/10- Fortunately, some of the humor is toned down for a more serious tone. However, there are still plenty of laughs to be had with Book 2 of Avatar. Sokka continues to be hilarious and so is Iroh. In most episodes, there is at least one laugh-out-loud moment, along a few smirk worthy moments. Entertainment Value: 9.1/10- Considering that the series was engaging enough for me to marathon it in three days, is a testament to the quality of the series' entertainment. Almost every episode features a fun action sequence, but the best aspects are the mythos, character dynamic, and character drama. 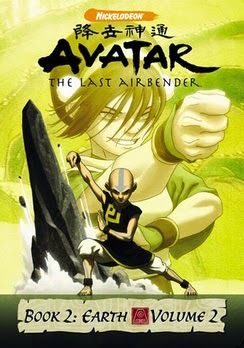 Overall: 9.0/10- Avatar: The Last Airbender: Book 2 is simply amazing. I cannot emphasize enough how surprisingly it is for me to be giving the series such a high rating, especially considering my dislike of western animation, but Avatar is something truly different. Closing comments: Even though the first season can be a little tough to get through at times, it is completely worth it when considering the quality of Book 2.